Spray small glass custard cup with coconut oil spray. Break one egg into cup and beat with fork until yolk and white are mixed. 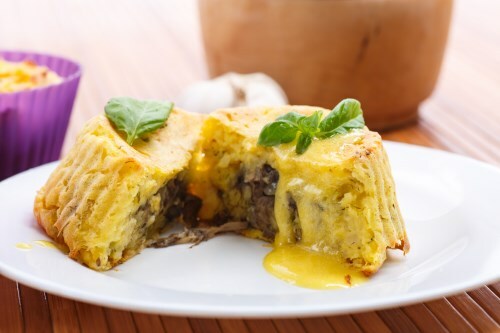 Chop vegetables (meat) into very small pieces and mix with egg in custard cup. Put custard cup on a microwave safe plate and place in microwave oven on high for 1 ½ minutes or until cooked through. Carefully remove and invert custard cup onto plate. Add garnish as desired.